This is an electron micrograph of the Zika virus. A new study strengthens the link between the virus and a devastating neurological condition. Throughout the Americas, the rate of Zika infections has been exploding. For some adults, Zika virus is no more than a rashy, flulike nuisance. But in a handful of people, a new study finds, the virus may trigger a severe nerve disease. This rare condition is called Guillain-Barré syndrome. It begins as the body’s immune system attacks peripheral nerves. These nerves form a system that connects the brain and spinal cord to the rest of the body. Guillain-Barré (Gee-YAHN bur-RAY) often causes weakness or tingling in the lower extremities (legs). In severe cases, total paralysis can result. Until they recover, the affected people may depend on a ventilator in a hospital’s intensive care unit in order to breathe. Clearly, it’s a serious disease. Indeed, 3 to 5 percent of people with this nerve condition die from complications, scientists estimate. The new study looked at a Zika outbreak that occurred in French Polynesia in 2013 and 2014. About one in every 4,000 people with Zika got Guillain-Barré syndrome, researchers now estimate. During that outbreak, 42 people were diagnosed with Guillain-Barré. All had antibodies that also signaled a Zika infection. (Antibodies are proteins that the body’s immune system produces in response to an infection.) Most patients also had recent Zika symptoms. These people were compared to a control group — hospital patients who did not have Guillain-Barré. Researchers saw signs of Zika less frequently in them. Just 54 out of 98 patients who were tested showed signs of the virus. The new study appeared online February 29 in The Lancet. Zika has recently hit several countries in the Americas quite hard. These countries “need to be prepared to have adequate intensive-care beds capacity to manage patients with Guillain-Barré syndrome,” the study’s authors write. The study “tells us what I think a lot of people already thought: that Zika can cause Guillain-Barré syndrome,” says Ernesto Marques. He is a public-health researcher at the University of Pittsburgh in Pennsylvania. Guillain-Barré is one of two rare conditions that have been associated with Zika. The other is microcephaly (My-kro-SEF-uh-lee). Babies born with this condition have abnormally small heads. But with both conditions, more work needs to be done to prove they are caused by Zika. Several countries where Zika is now spreading also have reported upticks in Guillain-Barré syndrome. Colombia, for instance, usually sees about 220 cases of this syndrome each year. But doctors diagnosed 86 cases in just five weeks — between mid-December 2015 and late January 2016. That's according to the World Health Organization (WHO) in Geneva, Switzerland. Other Zika-affected countries have also reported unusually high numbers of Guillain-Barré. These include Brazil, El Salvador and Venezuela. The link between Zika and Guillain-Barré seems strong. Still, Marques stresses that the risk of getting the syndrome after a Zika infection remains quite low. 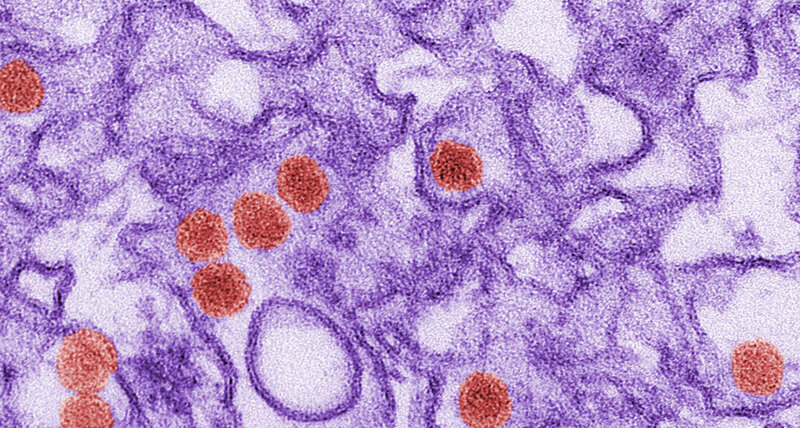 “It’s important that people don’t think that if you get Zika, you are going to get Guillain-Barré.” The chance of getting it is much less than 1 percent, he says. And it’s too early to say whether the rate of Guillain-Barré estimated in the paper will be the same in ongoing Zika outbreaks, notes Anna Durbin. She is a vaccine expert at Johns Hopkins University in Baltimore, Md. “We have a number now, but it’s not perfect,” she says. Ongoing studies in Brazil and other countries affected by Zika will help refine the rate. Other viruses also can trigger Guillain-Barré. These include HIV, influenza and dengue. It’s possible this occurs through their interactions with the body’s immune system. For now, details remain mysterious. The timing of Guillain-Barré’s onset may just make it easier for scientists to pin it on Zika than to link this virus to microcephaly. The syndrome shows up days or weeks after an infection subsides. By contrast, it takes months to see what happens with babies born to infected mothers, noted Bruce Aylward, with WHO. He spoke during a news briefing on February 19. Scientists are now conducting a many-nation study on Guillain-Barré. They may soon expand it into Brazil and Colombia. There, they may look for signs linking Zika infection to the syndrome, says Bart Jacobs. He is an immunologist at Erasmus University Medical Center in Rotterdam, the Netherlands. Jacobs is helping supervise this study. Other studies also might help explain why some people are susceptible to Guillain-Barré. Genetics, previous viral infections or toxins may all play a role. French Polynesia A nation consisting of more than 100 islands in the South Pacific. Guillain-Barré syndrome Pronounced Gee-YAHN Bur-RAY. A rare condition that begins as the body’s immune system attacks peripheral nerves, causing weakness or tingling in the lower extremities. In severe cases, total paralysis can result. Three to 5 percent of people with Guillain-Barré die from complications, scientists estimate. The syndrome is thought to be a complication of several infectious diseases, including HIV, dengue, influenza and Zika. immunology The field of biomedicine that deals with the immune system. A doctor or scientist who works in that field is known as an immunologist. microcephaly A birth defect in which a baby is born with a head that is smaller than expected. Other problems may also develop, including seizures, developmental delays, hearing and vision problems, and problems with movement and balance. neurological disease A disease of the brain, spinal cord or nerves. ventilator (in medicine) A device used to help a person breathe — take in oxygen and exhale carbon dioxide — when the body cannot easily do that on its own. B. Brookshire. “Scientists say: Zika.” Eureka! Lab blog. February 15, 2016. M. Rosen. “Zika worries go global.” Science News for Students. February 2, 2016. M. Rosen. “Zika virus raises alarm as it spreads in the Americas.” Science News for Students. January 28, 2016. E. Landhuis. “Do mosquitoes love you? Blame your parents.” Science News for Students. May 11, 2015. J. Raloff. “News Brief: Ebola’s dead stay infectious for a week.” Science News for Students. April 26, 2015. E. Preston. “New virus may have given kids polio-like symptoms.” Science News for Students. April 9, 2015. J. Raloff. “Deadly new virus emerges.” Science News for Students. March 19, 2013. Original Report Source: World Health Organization Zika virus, microcephaly and Guillain-Barré syndrome situation report. February 19, 2016.